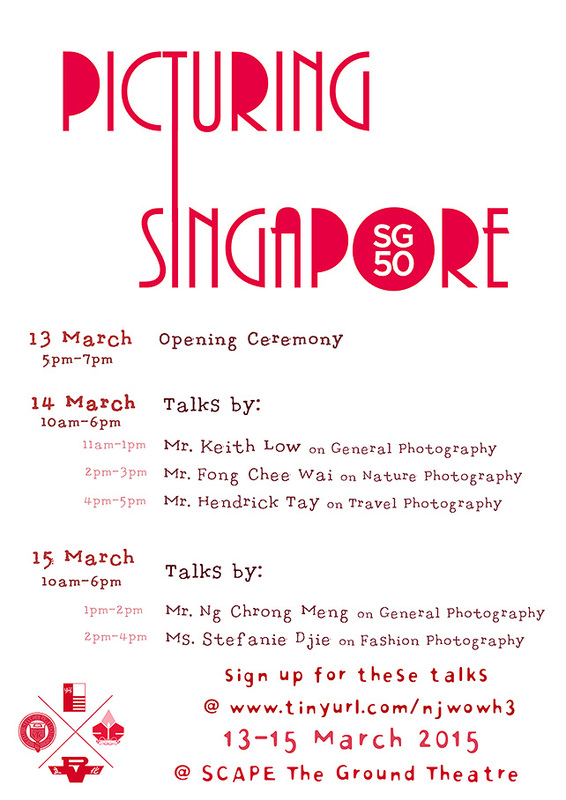 “Picturing Singapore” is an SG50-themed Photo Exhibition Collaboration between four schools in Singapore, namely River Valley High School, Victoria Junior College, National Junior College and Anderson Junior College. Photos exhibited will come from Photography Society members from the four schools. These photos revolve around 3 sub-themes – Heartland, Way of Life and City of Possibilities. 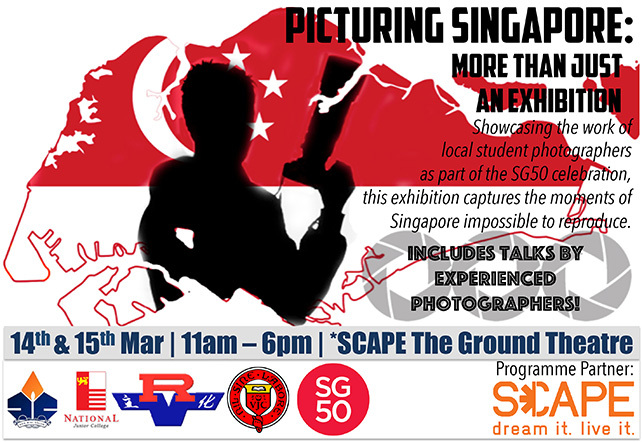 The exhibition showcases photos of professional standard by Singaporean students, depicting their love for the nation. There will also be talks by experienced photographers on Saturday and Sunday.